For the first time in 16 years the Indiana State House and Senate will go into special session to complete the voting on several key bills. 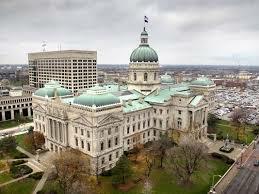 Sagamore CEO and Indiana State Senator John Crane has invited Sagamore students and parents to visit the Capitol Building on this day, Monday, May 14. Participants will be given a tour of the building and learn the process of how a bill becomes a law. Meet at the Capital Building Rotunda at 6 p.m. The evening will conclude at 7:30 p.m. For more information visit the Sagamore Leadership events page or email Jeff Shields.